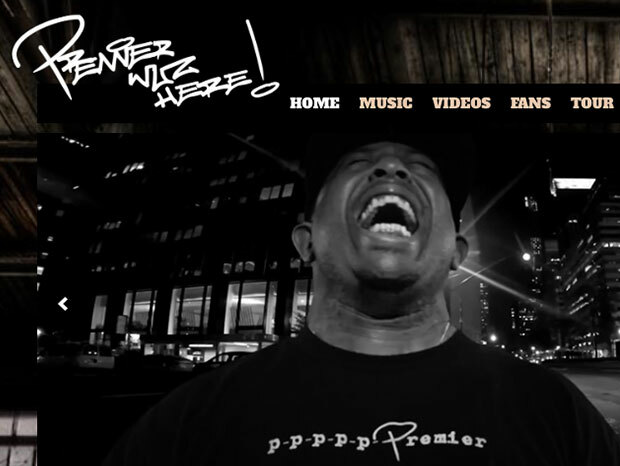 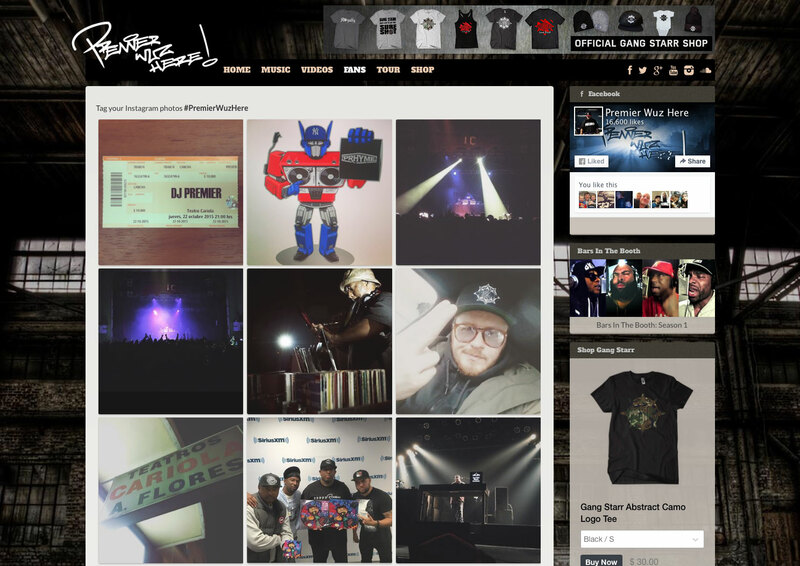 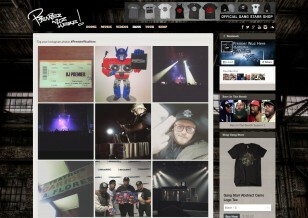 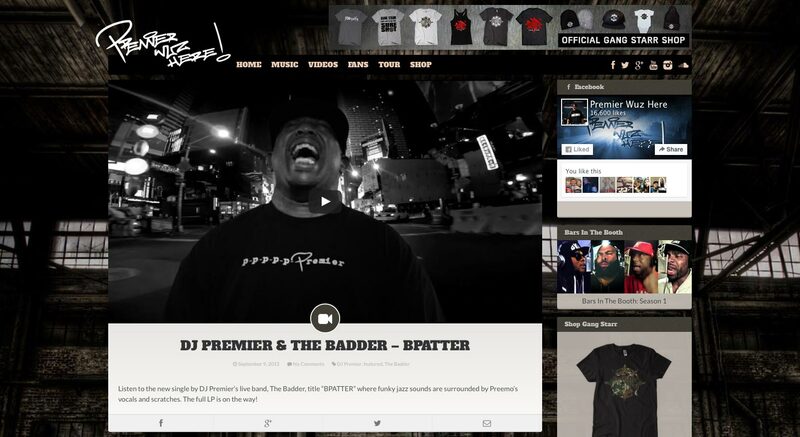 Official site and shop for legendary producer and Gang Starr cofounder DJ Premier. 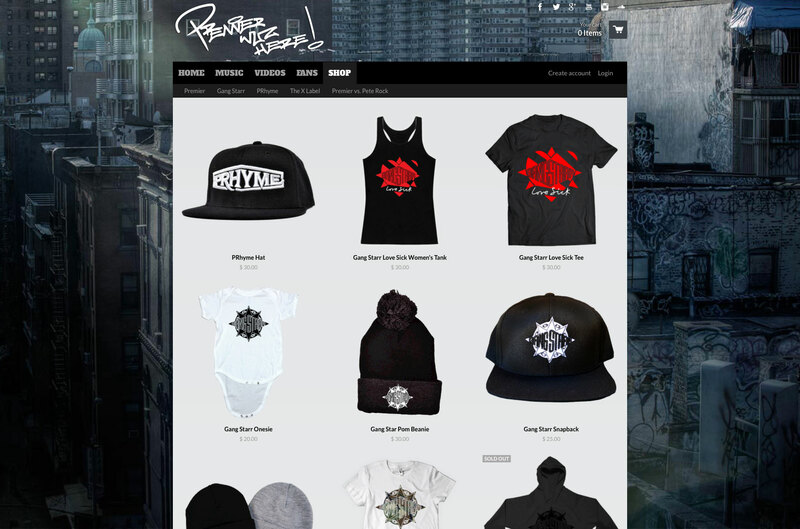 Site is powered by WordPress and shop is powered by Shopify. 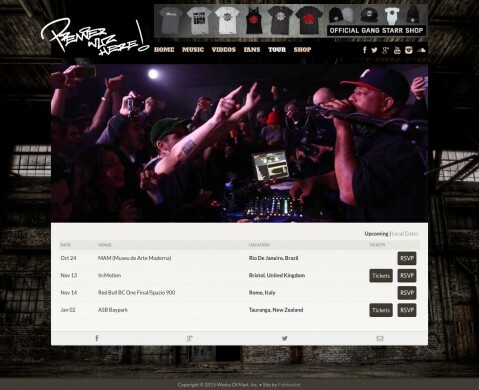 We redesigned with a tan style in October 2015.